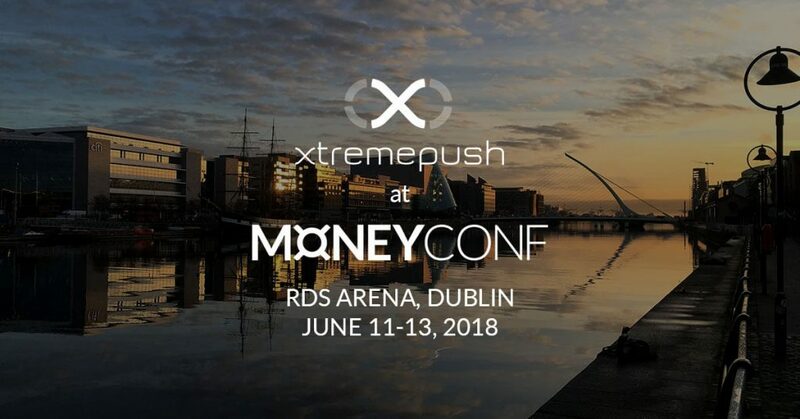 Xtremepush will be attending MoneyConf 2018. MoneyConf is the world’s fastest-growing Fintech event and is organised by the team behind the world’s largest tech conference, Web Summit. MoneyConf will take place in the RDS, Dublin from the 11 – 13 June 2018. Xtremepush will be in attendance with Temenos and we will join the Temenos team on their Temenos MarketPlace stand (E112). Temenos specialise in enterprise software for banks and financial services, their clients include clients include global Tier 1 banks. Over two days, 5,000 attendees from over 60 countries will network and learn from the industry’s leading lights. Expect insightful keynotes, hands-on workshops, and incredible evening networking. Xtremepush has extensive knowledge of deploying our multi-channel engagement and experience platform into global enterprises, specialising in a number of verticals including Retail Banking & Finance. Our engagement channels included web, app, and social channels. To find out more about Xtremepush, see our latest case study from TBC Bank, and discover how Xtremepush enables TBC Bank to engage their users and enhance their experience with highly-intelligent, personalised messaging at the right time, in the right location.